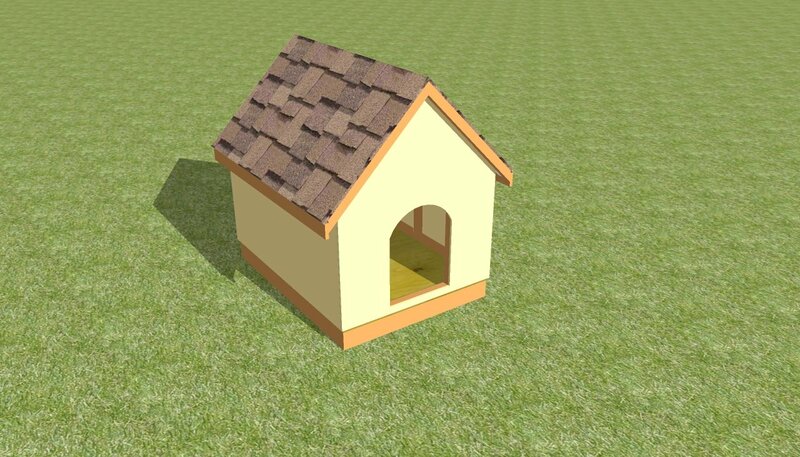 This step by step diy project is about indoor rabbit hutch plans. 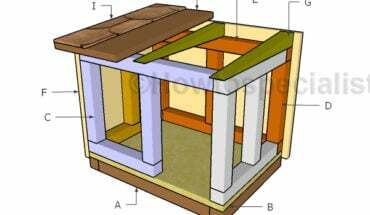 If you want to build a learn more about how to build a beautiful rabbit hutch that can be used indoor, this project is what you are looking for. Follow the instructions and pay attention to the diagrams and build the structure, even if you are a beginner when it comes to woodworking. You should always plan everything from the very beginning, in order to prevent costly mistakes and to save time. In most of the cases, you need a friend to give you a hand when assembling the indoor rabbit hutch. Invest in high quality lumber and plywood, as the components will be exposed to bad weather. Protect the components with appropriate paint or stain. The first step of the projects is to build the bottom frame for the indoor rabbit hutch. Cut the components out of 1×3 lumber. Drill pocket holes at both ends of the short components and insert 1 1/4″ screws. Make sure the corners are square and add glue to enhance the bond of the components. Next, you need to attach the 3/4″ plywood flooring to the frame, as described in the diagram. Align the edges with attention and secure the plywood panel into place using 1 1/4″ screws. Build the exterior walls of the rabbit hutch out of 3/4″ plywood. Make starting holes and use a jigsaw to make the holes inside the plywood panels. Smooth the edges with fine-grit sandpaper. Next, you need to assemble the structure of the hutch by attaching the walls to the bottom frame. Drill pocket holes at both ends of the yellow panels and insert 1 1/4″ screws into the sides. Make sure the corners are right-angled. Build the partition out of 3/4″ plywood. Mark the cut lines on the plywood panel and make the notch using a circular saw. The notch will ease the access of the rabbit from one room to the another. Drill pocket holes along both sides of the partition. Fit the partition to the rabbit hutch and secure it to both sides using 1 1/4″ screws. Make sure the corners are right-angled. Attach caster wheels to the base of the rabbit hutch, as described in the diagram. Use screws to secure the wheels to the corners of the base. Build the door panel out of the piece cut out in the previous steps. Use hinges to lock the door into place and a latch to lock it properly to the structure. Build the top components out of 3/4″ plywood. Fit the components to the structure, making sure the edges are aligned. Lock the left components into place, by inserting 1 1/4″ screws into the frame. Use hinges to secure the lid to the indoor rabbit hutch. One of the last steps of the project is to attach the handle to the rabbit hutch. Build the side components out of 1×2 lumber and the handle out of 1″ round lumber. Drill pilot holes through the side supports and insert 2 1/2″ screws into the handle. In addition, secure the supports to the rabbit hutch using 1 1/4″ screws and glue. Smart Tip: Apply a few coats of stain or exterior paint to the components, in order to protect them from decay and water damage. Check out the rest of the animals plans featured on our website. Thank you for reading our project about indoor rabbit hutch plans and we recommend you to check out the rest of the projects. Don’t forget to SHARE and LIKE our projects with your friends, by using the social media widgets, if you want to help us keep adding free woodworking plans.